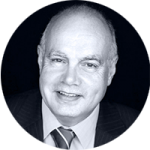 Dave’s career spans around 20 years in private accountancy practice and over 25 years as a practising personal financial planner and Independent Financial Adviser – the two often overlapping. Since 2000, Dave has specialised in designing and implementing holistic financial planning and investment strategies for the client groups now being served by Centurion Wealth Care: his very close personal interest in these clients stems from having a son with severe learning difficulties, while all of his parents and parents-in-law required significant levels of support in later life. Dave has written or contributed to a wide range of books, technical guides and study manuals for various professional bodies and he regularly write articles and case studies for professional journals and newspapers. He has appeared on BBC1’s Money Matters Roadshow, local radio programmes and Radio 4’s Money Box, contributing on the subject of financial planning in later life.